^ Yugoslavia (former federated nation, 1929-2003) : The second Yugoslavia. britannica.com. Encyclopædia Britannica, Inc. [2014-03-15]. （原始内容存档于2014-03-15）. ^ Chip Gagnon. 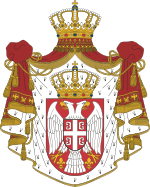 "Historical Roots of the Yugoslav Conflict" Part 3: The Second Yugoslavia. Ithaca College Website. [2014-03-15]. （原始内容存档于2013-12-13）. ^ 馬細譜. 南斯拉夫興亡. 社會科學文獻出版社. 2010. ISBN 978-7-5097-1140-8. 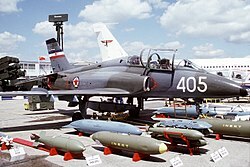 ^ Air victories of Yugoslav Air Force. Vojska.net. [2010-03-10]. ^ The Yugoslav-Soviet Rift. 聯邦研究部. [2012-12-20]. ^ 岑尙. 南斯拉夫種族獨立運動之研究. 國防雜誌. 1991, 7 (3): 55. ^ 16.0 16.1 尹慶耀. 南斯拉夫的今昔. 共黨問題研究. 1992, 18 (11). ^ Yugoslavia Drainage Systems. 聯邦研究部. [2012-09-23]. 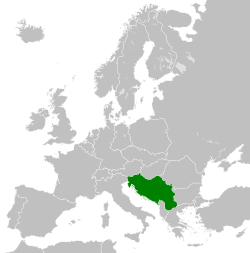 ^ Yugoslavia Climate. 聯邦研究部. [2012-09-23]. ^ Yugoslavia Topography. 聯邦研究部. [2012-09-23]. ^ 28.0 28.1 28.2 28.3 Titoism (PDF). ff.uni-lj.si. （原始内容 (PDF)存档于2013-06-26）. ^ 29.0 29.1 Constitution of the Federative People's Republic of Yugoslavia, January 31, 1946. arhivyu.gov.rs. [2012-09-20]. ^ Government - Yugoslavia - Europe. countriesquest.com. [2012-09-23]. ^ 南斯拉夫社会主义自治的失败—关于集权与分权关系的思考. 中国社会科学院. [2012-09-23]. （原始内容存档于2013-06-13）. ^ 南斯拉夫聯盟共和國的憲法監督制度. 中国社会科学院. [2012-09-23]. （原始内容存档于2014-03-15）. ^ Yugoslavia State Presidency. 聯邦研究部. [2012-12-19]. ^ History of the war in Bosnia. balkandevelopment.org. [2012-06-04]. （原始内容存档于2011-09-09）. ^ 41.0 41.1 41.2 41.3 Yugoslavia Postwar Development. 聯邦研究部. [2012-07-31]. ^ Yugoslavia Military Budget. 聯邦研究部. [2012-07-31]. ^ Serbia - Nuclear Weapons Activities. fas.org. [2012-07-27]. ^ The Use of Landmines in Bosnia and Herzegovina (PDF). essex.ac.uk. [2012-06-04]. ^ Yugoslavia Arms Imports. 聯邦研究部. [2012-07-31]. ^ Yugoslavia The Military and Society Development. 聯邦研究部. [2012-07-31]. ^ 54.0 54.1 54.2 Yugoslavia The Soviet Union. 聯邦研究部. [2012-12-16]. ^ Beyond Dictatorship. 時代. [2012-08-09]. ^ 沈志華. 论1948年苏南冲突的结果——南斯拉夫是如何走上独立道路的？. 世界历史. 1999, (5): 16. ^ 嚴正. 人民日报. 人民日报 (人民日报出版社). 1989-01-04: 6. ^ 郭永學. 原苏联与前南斯拉夫民族政策的比较. 東歐中亞研究. 2000, (4): 28. ^ Yugoslavia transportation and Communications. 聯邦研究部. [2012-08-10]. ^ Yugoslavia and Telecommunications. 聯邦研究部. [2012-08-10]. ^ JAT Yugoslav Airlines Fleet Details and History. Planespotters.net. [2012-08-06]. （原始内容存档于2012年9月5日）. ^ 71.0 71.1 Yugoslavia Communications - 1990. theodora.com. [2012-08-06]. ^ Putovanja - Balkan Express saobraća samo do Sofije - B92 Putovanja. b92.net. [2012-09-15]. ^ 73.0 73.1 SERBIAN RAILWAYS - History. zeleznicesrbije.com. [2012-09-16]. （原始内容存档于2012-11-22）. ^ Die Aufteilung des JŽ-Triebfahrzeugparkes. le-rail.ch. [2012-09-16]. ^ National structure of population in SFR Yugoslavia (PDF). http://pod2.stat.gov.rs/. [2016-04-30]. （原始内容 (PDF)存档于2016-03-04）. ^ 77.0 77.1 77.2 77.3 77.4 77.5 77.6 Yugoslavia Population. 聯邦研究部. [2012-08-12]. ^ 78.0 78.1 78.2 78.3 78.4 78.5 78.6 78.7 Migrations in the territory of former Yugoslavia from 1945 until present time (PDF). ff.uni-lj.si. [2012-08-12]. （原始内容 (PDF)存档于2012-04-03）. ^ 79.0 79.1 79.2 79.3 79.4 Yugoslavia. autocww2.colorado.edu. [2012-11-30]. ^ 82.0 82.1 82.2 82.3 82.4 82.5 Yugoslavia. 聯邦研究部. [2012-11-30]. ^ 84.0 84.1 84.2 84.3 84.4 84.5 84.6 Yugoslavia. 聯邦研究部. [2012-12-01]. ^ 85.0 85.1 85.2 Religion, Conflict and Prospects for Peace in Bosnia, Croatia and Yugoslavia. georgefox.edu. [2012-12-01]. ^ 86.0 86.1 86.2 86.3 86.4 Religious and Ethnic Diversity in the Second Half of the 20th Century: War and Political Changes in the Territories of Former Yugoslavia. 聯邦研究部. [2012-12-01]. ^ 87.0 87.1 87.2 87.3 Yugoslavia (PDF). stm.unipi.it. [2012-12-01]. （原始内容 (PDF)存档于2014-03-15）. ^ The Cathedral of Saint Sava – Via Balkans. viabalkans.com. [2012-12-01]. ^ 92.0 92.1 92.2 Yugoslavia Primary Schools. 聯邦研究部. [2012-12-01]. ^ 93.0 93.1 93.2 Yugoslavia Secondary Education. 聯邦研究部. [2012-12-01]. ^ 94.0 94.1 Yugoslavia Higher Education. 聯邦研究部. [2012-12-01]. ^ 97.0 97.1 LANGUAGE POLITICS IN BOSNIA, CROATIA, AND SERBIA. [2012-12-04]. ^ Language Evolution in Bosnia (PDF). [2012-12-04]. （原始内容 (PDF)存档于2012-06-16）. ^ Yugoslavia Languages. 聯邦研究部. [2012-12-01]. ^ 100.0 100.1 Socio-Political Controversies about the Bosnian Language (PDF). 聯邦研究部. [2012-12-01]. （原始内容 (PDF)存档于2013-01-03）. ^ 103.0 103.1 103.2 103.3 Former Yugoslavia. prog-sphere.com. [2012-11-29]. ^ 105.0 105.1 Nationalization of the film industry - Yugoslavia - director, cinema. filmreference.com. [2012-09-29]. ^ Bitka na Neretvi (1969) - IMDb. IMDb. Amazon. [2012-09-29]. ^ Sutjeska (1973) - IMDb. IMDb. Amazon. [2012-09-29]. ^ Movie > Armour of God. filmapia.com. [2012-09-26]. ^ Film - Robert Gwilym. freewebs.com. [2012-09-26]. （原始内容存档于2012-07-01）. ^ 111.0 111.1 111.2 111.3 (ex)Yugoslavian popmusic before 1960 - Europopmusic. europopmusic.eu. [2012-11-29]. ^ Barikada - World Of Music. barikada.com. [2012-11-29]. （原始内容存档于2012-10-25）. ^ (ex)Yugoslavian popmusic in the seventies - Europopmusic. europopmusic.eu. [2012-11-29]. ^ Olexandr - Hasta La Vista (Ukraine 2003). eurovision.tv. [2012-09-26]. ^ Olympic Medal Winners. IOC. [2012-12-20]. ^ 1990–91 All matches – season at UEFA website. UEFA. [2012-12-20]. ^ Delaunay's dream comes true. UEFA. [2009-10-18]. ^ The Italian job. UEFA. [2009-10-18]. ^ Chile 1987: Yugoslavian fireworks. FIFA. [2009-10-18]. （原始内容存档于2010-05-16）. ^ War - Football by other means. empower-sport.com. [2012-09-25]. （原始内容存档于2014-03-15）. ^ FAI History Chapter 38 - UEFA 2000 qualifying tournament. fai.ie. [2012-09-25]. （原始内容存档于2013-12-08）. ^ International Handball Federation (PDF). 国际手球联合会. [2012-09-25]. ^ Vito Padovan - YU Water Polo National Team. oocities.org. [2012-09-25]. ^ Australian Water Polo Inc.: FINA World Championships. waterpoloaustralia.com.au. [2012-11-29]. （原始内容存档于2013-04-29）. ^ Australian Water Polo Inc.: FINA World Cup. waterpoloaustralia.com.au. [2012-11-29]. （原始内容存档于2013-04-29）. ^ Professional Water Polo DVDs. prowaterpolo.com. [2012-11-29]. ^ ６共和国制と７４年憲法. h3.dion.ne.jp. [2012-06-04]. （原始内容存档于2014-10-24）. ^ Yugoslavia - Television Tropes & Idioms. tvtropes.org. [2012-09-26].